1. Pathfinder teams of the 505th, 507th and 508th Parachute Infantries were scheduled to be employed on their respective DZ’s at H-30, D Day, in accordance with Field Orders of these organisations. The Regimental Pathfinder Teams consisted of three battalion teams composed of two officers, two Eureka operators, one wire man, seven light men, and from four to six security men. 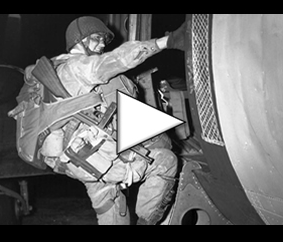 The 507th and 508th Pathfinder teams had four security men per each battalion assigned from the 504th Parachute Infantry, plus one officer for each Regimental Team. The 508th Regimental Team, in addition to the above equipment and personnel, dropped two BUPS beacons plus the Commanding Officer of the Provisional Pathfinder Company. 2. All regimental pathfinder teams flew in 3-plane flights, in V-formation. Takeoff airdrome was NORTH WITHAM. 3. The 505th pathfinder team, commanded by 1st Lt JAMES J. SMITH, Air Corps Commanding Officer Captain KIRKPATRICK, took off as per schedule. Encountering little flak on the run in from landfall to DZ, dropped within 400 yards of previously designated pinpoint. The drop was six minutes early. The DZ was set up as per SOP, with the exception of one battalion light tee. This tee was not put into action due to the faulty assembly. Eurekas were set up within ten minutes of drop time. Eurekas were first triggered fifteen minutes from the time of the first element drop. Three serials dropped on and near the 505th pinpoint. All serials were approximately ten minutes early. The first serial dropped southeast of lighted tee, approximately one-half mile. The second serial dropped directly over lighted tee. The third serial dropped north by approximately one-half mile. The third serial appeared to be travelling at a speed of at least 150 miles per hour, at time of drop. Several jumpers sustained ruptures, due to the excessive speed. 4. LZ’s in 505 area were set up as per schedule, Eurekas for glider night landings were set up thirty minutes prior to landing time. Eurekas for LZ were triggered twenty minutes prior to landing time. Gliders were generously scattered over LZ area. 5. The 507th, commanded by 1st Lt. JOSEPH, 507th Parachute Infantry, flight led by Captain MINOR, Air Corps. Flight took off on time at NORTH WITHAM. Dropped on designated DZ accurately, on time. At time of drop, pathfinder personnel and pathfinder aircraft were subjected to heavy anti-aircraft fire. The jumpers, on reaching the ground, found themselves in a German Troop concentration. Due to aggressive action of enemy troops, the DZ was not set up according to SOP. No lights were turned on. One Eureka was set up by this pathfinder team twenty minutes prior to scheduled drop of first serial. Eurekas were triggered fifteen minutes prior to drop of first scheduled serial. All elements appeared on time. These elements were widely scattered upon arrival, apparently due to action of enemy anti-aircraft fire. A maximum of fifty aircraft dropped their parachutists on the DZ. Eureka remained in action twenty minutes after scheduled time of last serials. A few strays dropped after scheduled time. 6. 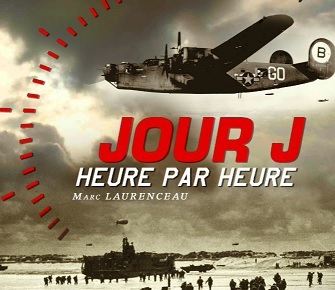 508th, commanded by Captain N. L. MC ROBERTS of the 505th Parachute Infantry, Air Corps flight leader, Captain MILES, took off on time, from NORTH WITHAM, made landfall on time, encountering little flak until over SAN SAUVEUR LE VICOMTE. Flak continued from SAN SAUVEUR LE VICOMTE to run in for drop. Anti-aircraft fire shifted from planes to jumpers at time of drop. Drop was on time, approximately one and one-half miles south and slightly east from previously selected DZ. Due to aggressive enemy action on the ground, lights were not able to be turned on with the exception of two; one of which was coded in the predesignated code. BUPS Beacon was set up and operating twenty minutes prior to arrival of first scheduled serial. One Eureka was set up and operating twenty minutes prior to first scheduled serial. Eureka was triggered approximately twelve minutes prior to drop time. BUPS Beacon was receiving definite tuning of homing planes. To ground observers it appeared that incoming formations were scattered due to intense anti-aircraft fire. One large formation was observed dropping approximately one mile directly north. Twenty planes dropped on DZ with pathfinders. Twenty planes that dropped were approximately ten minutes late, of the first scheduled serial. No subsequent serials arrived over DZ. Eureka remained on thirty minutes after time of last scheduled serial. No strays dropped during that time. 7. 505th Parachute Infantry sustained no casualties due to enemy action. 508th Pathfinders lost approximately two-thirds of their enlisted and officer personnel. 507th Parachute Infantry is missing approximately twenty men. All navigational aids used by pathfinders were recovered and consolidated in Division CP with the exception of those that were destroyed to avoid their falling into enemy hands. That lights either be entirely eliminated or of such construction that they are not visible from the ground. That pathfinder teams stress in their training assembly under difficult terrain conditions at night. That the size of pathfinders teams be considerably lessened. That security personnel be dispensed with. That Air Corps pilots and crews be trained to much a degree that formations will be maintained in spite of intensive enemy anti-craft fire. That the BUPS Beacon, both antenna and receiver-transmitter set, be modified in a more compact unit for jumping.